Good news Vancouver, there’s a sweet deal coming your way, and it spans over the course of an entire month. There will be a food cart offering up FREE cookie dough in different spots around the city, and all you have to do it show up to get some. 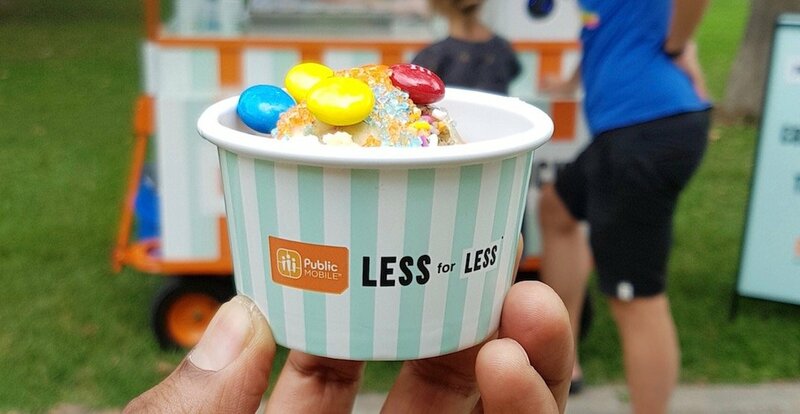 As part of a promotion for Public Mobile, this travelling cart will be roaming some of the most popular destinations in the city handing out scoops of dough with “all the toppings” from 2 to 8 pm (or until supplies last). Pick between birthday cake, chocolate chip, and plain (all flavours are vegan). Please note that the food cart will be roaming throughout the day. All dates and locations are subject to change.